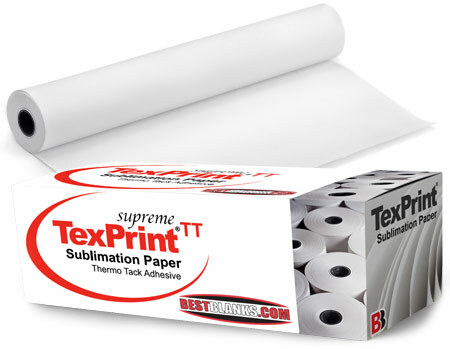 TexPrint-Supreme Thermo Tack. The next generation of thermo-tack sublimation transfer paper by Beaver Paper. Weighs in at 92gsm for ease of handling through calendar heat presses. The super-uniform coated print surface has been re-imagined, delivering improved consistency and high fluid capacity.